What the heck? Bottle Opener For DIY-ers! Maybe another nice Christmas Gift for extreme wine geeks or simply for “Real Men”?? I’m pretty happy with my “low-tech” tool! 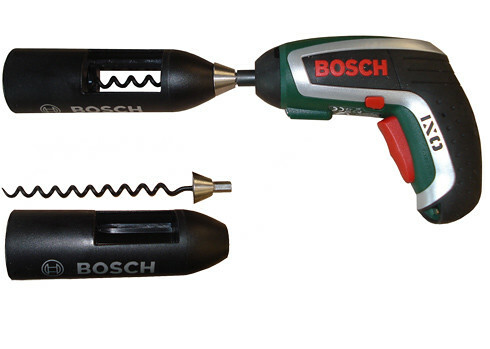 The Bosch IXO Vino sells in Germany for 60 Euro.